Learn how to plan and execute a transformation initiative in a knowledge work environment. Embarking on a Lean transformation requires serious planning and responsible execution. To help you on your journey, we have developed a comprehensive Lean transformation roadmap that you can use as a lightweight guideline to walk you through the steps. The first step in the Lean transformation roadmap is to evaluate the real underlying problems and to identify the potential solutions. Lean is only one of the possible ways to go. There are other improvement initiatives that might be a better idea, e.g. quality improvement initiative, customer engagement improvement initiative, etc. A great tool to help you with the evaluation phase is the Lean Transformation Model. Even if you decide not to follow the model strictly, it is a good idea to go through it. It will probably trigger interesting discussions or provoke you to ask questions that you wouldn’t have asked otherwise. Once you have decided to go for the Lean program, you should decide whether to go “all in” or “start small”. This might sound funny at first, but this is a crucial decision. As the name suggests, starting small means changing few things at a time, measuring, improving and repeating the same cycle again and again. It is always the safer approach, as it will not create too much turbulence in the organization, but it’s much slower and can easily take years. If you have the time, this is the recommended approach. The “all in” approach is also called “big bang”. This is no coincidence, because it will create a whole universe of challenges to deal with. It will cause major friction in the working processes of everyone in the organization and will, at least temporarily, hinder the company’s ability to deliver. It is a scary thing to do, but if your competitors are years ahead, you might have no better option. To follow the Lean transformation roadmap you must go through a formal initiation step. This is where you lay the foundations of your initiative and is one of the most critical steps to do right. The single most important thing to do during the second phase is to get the buy in of the senior leadership. If the C-level folks don’t truly support the initiative, the chances of success are very low, even if they write the check. Simply put, there must be a board member who is the sponsor of the Lean Transformation. In the worst case scenario, the sponsor must be a direct report of a board member, but of course, the higher position the better. You may wonder why so much stress is being put on the board level sponsor. It’s actually quite simple – Lean is not a quick win, it’s a strategy. The long-term commitment to maximizing value in the name of the customer takes a lot of energy and must be on the list of strategic priorities. To make sure that it is, ask for a quarterly board review and define clearly what milestones should be met, for the funding to continue. Now is the time to secure the funding for professional services and software that you will need along the way. Even if you’re the CEO, discuss the budgeting aspect with the board, as Lean transformations might be expensive. Chances are that you will need professional Lean / Agile consultants that have gone through this exercise many times. As with anything in life, mistakes are learned the hard way, so do your best to learn from somebody who has been there. One thing is certain: if you have no experience transforming organizations to Lean, you don’t want to do this alone. Hire the best consultants you can, they charge a lot, but will be well-worth the money. Training key people in the organization is a prerequisite for each of the next steps. That’s why having it as an official step in the Lean transformation roadmap is important. Train as many of the key people as you can. These are usually middle and senior managers but you can include some of the team leaders that have shown great potential. As training might be expensive, you will feel tempted to cut cost, but this is going to be a mistake. You will be able to save tons of money further down the line, should your managers get it right. Out of the people that have been trained so far, select the most engaged ones and form a team of “change agents”. This, by definition, is a virtual team that owns the transformation in terms of execution. Because the entire program will depend on the energy of these people, you have to choose wisely. Include only the true believers, the ones that you see have fully committed to the Lean thinking mindset. A mistake that you can easily do is to nominate the change agents, but keep them busy with their day-to-day jobs. This is a recipe for failure. Give them at least 50% of their time to work on the Lean transformation and continuous improvement initiatives. If you don’t do this, they will not be able to contribute properly. Don’t include any detractors, even if they are more senior than the believers. The detractors will only slow you down or even sabotage the program. *Actually, if there are any detractors, you may have to part ways with them. Implementing Lean is hard enough, you don’t want to do it despite somebody. Once you’ve figured out the change agents team, it’s time to train everyone else. Training hundreds or thousands of people will require a significant budget. However, if you’ve trained your key people well enough, they might be good candidates to do the training. Of course, it’s always a better idea to have professional trainers do the job, but if money is an issue, you will have to adapt. Be careful with the trainings you choose, though. Make sure to include various concepts from the Lean / Agile family and not just Scrum / SAFe. Having other Lean tools such as Kanban in your arsenal is essential. At this point, it is still early to select the right tools that you will need, but it’s a wise idea to start experimenting with various Lean management systems. 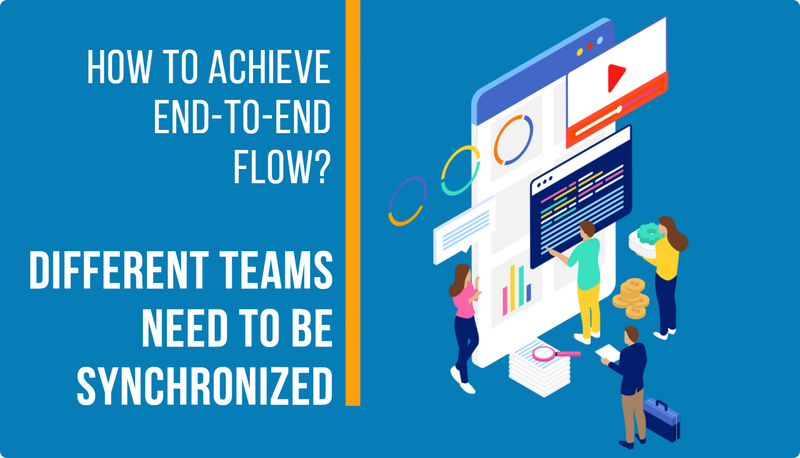 If you are in that phase right now, make sure to check out Kanbanize, as it has been adapted to meet the needs of both new and adept Lean teams. Moving on to the next step of the Lean transformation roadmap leads us to think in services. A service in the context of a business organization is a function that receives a certain input, manipulates it and produces a particular output. A service might be a team or part of the team that works on a concrete set of tasks. In a company that’s new to Lean, all the services will require a lot of tuning. As a matter of fact, the majority of the services might not be defined as such. It is quite possible that work is being done without a clear knowledge and information flow. If that’s the case, you should start defining the services along with their responsibilities. The easiest way to start is to simply map the existing team structure to a set of services. This is not the optimal configuration and is likely to change in the future, but it’s a good start. Based on the characteristics of the service, you will have different options to introduce different Lean tools. Many teams start with Scrum, but its pure form is becoming less and less popular. As a matter of fact, according to the 2017-18 State of Scrum Report, only 16% of the Scrum users do it by the book. On the other hand, 60% use Kanban, compared to 40% in 2015. These trends come to show that the agile world is developing rapidly and that Kanban is the most popular Lean tool at the moment. That’s why our recommendation is to use Kanban as a central delivery method for all your services. This will generate much less tension and will provide a solid foundation for future growth. It will take several months for all the services (teams) to get used to the new delivery ways, but if done properly, they will get there. They will know how to visualize their work, how to evolve their workflows and how to effortlessly share information with their stakeholders. The logical next step in the Lean transformation roadmap is to introduce unified metrics that can be applied across all teams and eventually across the organization as a whole. This is a slippery slope. Due to historical reasons, the metrics that many teams adopt are heavily influenced by Scrum. Yes, you got it right – story points. That’s a shame, because story points lead to a swarm of misunderstandings and difficulties further down the line. The strongest argument against story points is the fact that they are subjective and relative from team to team. This means that two teams would estimate the same piece of work with two completely different numbers, say 1 vs 8. The estimation process is of questionable value whatsoever, as it’s wrong by definition. You will be much better off using scientific forecasts based on your historical data and omit any form of team level estimation. Story points work well on a single team level, but as soon as you try to scale this across multiple teams, it becomes a little nightmare. Why? Because you never know how much work has actually been done and how much is still left. You can do the math, of course, but it’s a lot of overhead. On the other hand, we have the Kanban metrics that are very simple and intuitive – Cycle Time, Throughput and Work in Progress. Cycle time is the time it takes for a work item to be completed. Throughput represents the number of items a service (team) can produce in a certain period of time. Work in Progress represents the number of items that are currently being worked on. Besides being very easy to measure and track, these three metrics form a mathematical equation called Little’s Law. The practical application of this equation is that you can calculate each of the three metrics, should you know the other two. This is very useful for planning based on real data and not on story point guesswork. With the key flow metrics in place, you will be able to establish a Service Level Agreement (SLA) for all the services. An example SLA is “4 days”, which basically means that when new work is requested by service X, it will be expected within 4 days or less. This will dramatically increase the predictability of the individual services and will positively affect the smoothness of flow through them. It will take a year before all the services in the organization get to stable flow and some level of predictability. If the initial situation is bad, it may take more than that, but given that sufficient training is provided, one year should be more than enough to get everything rolling. Then the real fun begins – expanding the individual services to include upstream or downstream services. If you take a typical Kanban board, then upstream would be anything to the left of it and downstream would be anything to the right of it. Let’s use a standard software development scenario to make it clearer what that means. The upstream service would be product management – where all the possible features are evaluated, prioritized or discarded. Downstream could be a documentation service that keeps the knowledge base up to date. The ultimate goal of expanding up or downstream is to have a whole value stream in place. A value stream represents the entire journey of information and resources on their way from idea to a real product. When you have identified the entire value stream, then optimizing end-to-end flow becomes a much more tangible task. Borrowing some of the techniques in Theory of Constraints (ToC) you can continuously identify and eliminate bottlenecks. This will lead to enormous improvements in the overall delivery times that often reach 700% or even more. Jumping from the individual service level to the whole value stream leads to challenges in tracking status and demonstrating progress. It is usually necessary to introduce new measures of progress that are unified across all the services or value streams. This is one of the most critical steps in the entire Lean transformation roadmap. If one value stream reports in number of stories, another reports in story points and a third one reports in cycle time, the governance body will object. The easiest and most convenient way to track status is to report on number of items that are in progress, how many have been completed and how many are still pending. Whatever you report on it has to be valuable for the customer. If your customer values new features, do not internally report on stories, as individual stories won’t make them happy. On the contrary, if your users are ready to accept changes frequently, reporting on entire features or projects might seem slow. Irrespective of the measure of progress, utilize the Portfolio Kanban method to visualize the big pieces of work, how they flow through your value streams and how the individual services perform. This is the single most powerful method to help you steer the organization in the right direction and detect delays early on. To be able to make use of the Portfolio Kanban board, make sure to establish cadences and use the feedback loops to manage the work. Think of the Portfolio Kanban board as the heart of the organization that pumps blood (information) through the veins (the cadences) to the organs (services and teams). It is the most important piece that makes nourishing of the body possible. The PDCA cycle is also known as Deming’s cycle. It is a scientific method for improving processes on the basis of experiments. It has a lot in common with the Lean Startup theory that talks about building a Minimal Viable Product (MVP) and testing it with real users. In case the product is successful, it has to be scaled. If not, the company pivots towards another idea. Finally, the real engine behind continuous improvement is the Lean Management capability in the company. The actual result of a successful Lean transformation is not better throughput or more money, but the development of capable leadership that thinks Lean. If this has been achieved, the changes introduced will stick and will be developed further. 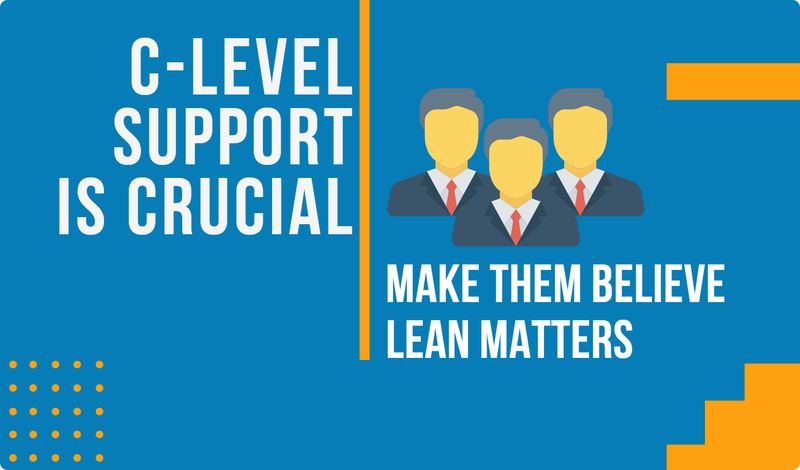 If these two pillars are available, then your Lean journey will be bound to succeed. Continuous improvement is the glue that sticks it all together. It’s a culture that is capable of reinventing itself, when necessary. It’s like evolution – a never-ending process of adaptation and change. And speaking of evolution, remember: “In the long run, evolutionary change tops sporadic brilliance”. That’s what continuous improvement is all about. The first phase is “Evaluation” and it’s where analysis is being done in order to determine the right actions to be taken. The second phase is “Initiation”. The most important activities are to obtain commitment by the board, to make Lean a strategic initiative and to seek for help. The third phase is “Training and Tooling”. Simply put, it’s where you train everyone, nominate a change agents team and start looking for tooling. The fourth phase is “Flow across single services”. The key here is identifying individual services and applying the Lean Kanban principles to them. The fifth phase is “Analysis and optimization”. This is where you start looking into metrics and attempt improvements. The sixth phase is “Flow across multiple connected services”. It’s about linking upstream and downstream services to form entire value streams. The seventh phase is “Establish governing methods”. This is where you figure out how to manage the entire organization. An amazing tool to employ here is Portfolio Kanban. The eighth phase is “Continuous improvement”. This is not a step, but a never-ending process of perfecting your Lean implementation.